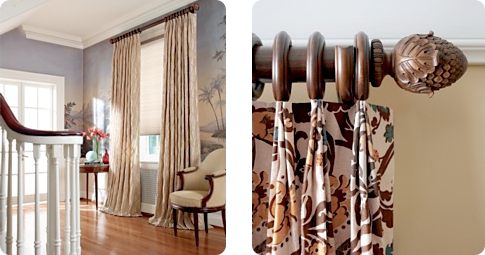 Add drama to your windows and rooms with custom draperies. From a basic pinch pleat to a sophisticated top treatment, The Sheer Shop can help you design the perfect finishing touch for your window or room. 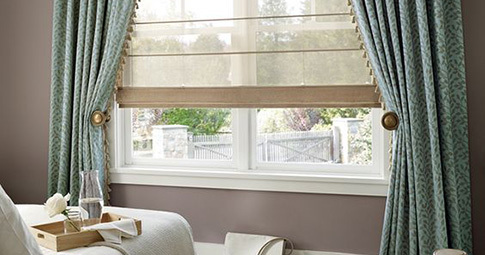 We offer a wide range of custom draperies and other treatments, including traditional custom draperies and valances, cornices and fine fabrics. Let The Sheer Shop’s experienced design consultants help you choose the perfect custom draperies for your home, at a price that meets your budget. If you want to add drama to your window, consider custom draperies or valances – window treatments that enhance the look of your rooms and which can be combined with your new Hunter Douglas blinds or shades for added style. 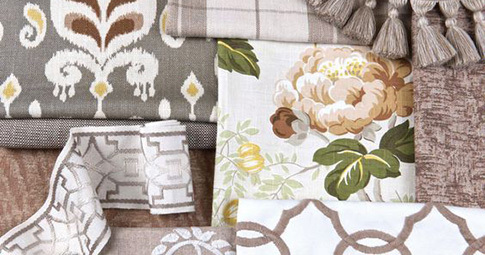 We can also design custom draperies to work with your existing window treatments. Cornice boards add an extra touch of elegance to any window covering, enhancing the look of any style of room – from traditional to modern, casual to formal. They can be customized to any shape or size, then covered with a custom fabric of your choice. 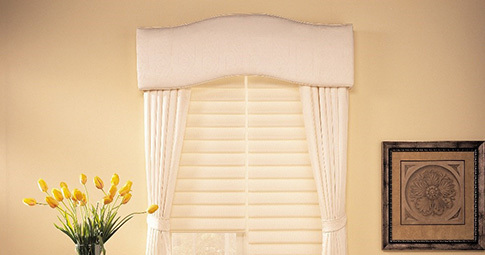 They are also functional, hiding room imperfections or drapery rods. The Sheer Shop offers a wide variety of custom fabric for all of your home’s needs, from draperies and valances to bedding, upholstery and more. We maintain a large library of of custom fabric samples, which you can browse through in our showroom. Our custom fabrics are available in many colors, textures and prices, and include selections to match any design style, from traditional to contemporary to juvenile.